The Canadian province of Quebec is known for a lot of things—snow, hockey, Céline Dion, snow again, oh, and poutine. While this French fry, gravy, cheese curd snack has been a Canadian favorite for decades, it has only become a mainstay here in the States recently with dedicated poutine palaces opening in Chicago, Boston, New York (though in the 1970s, New York City's “disco fries” were likely just a poutine ripoff), San Francisco and soon in the nation’s capital. Here’s the origin story and history behind this culinary, calorie-filled Quebecian delicacy. 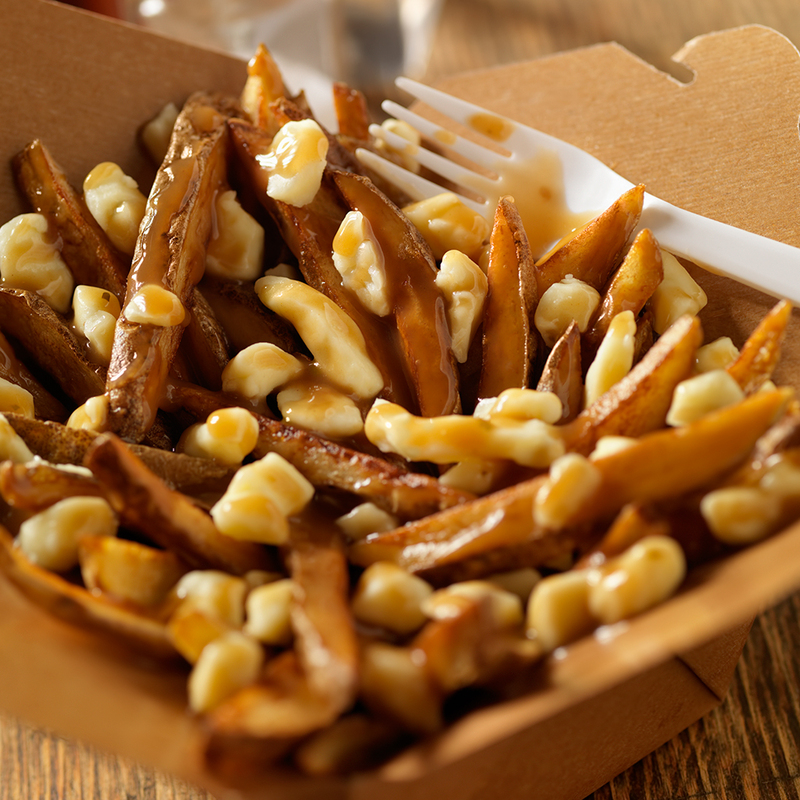 While it is agreed that poutine came from Quebec in the last half of the twentieth century, the particulars of where and when have been a source of great debate with at least two towns claiming to be the legitimate birthplace. Drummondville and Warwick are 56 kilometers (35 miles) from each other, but each has its own poutine origin story. Today, poutine is such a staple in Quebec that even McDonald’s sells it at locations across the region. Despite being calorie-rich and once considered too lowbrow for food elitists, poutine is now a source of national pride. Vive la poutine!